Storytelling has always played an important part in our society. It is a major factor in creating history and understanding different cultures. One area where it plays a vital part is in American Indian culture. Nikolay Velikanov is a filmmaker who clearly did his fair share of research before he decided to make a documentary about Native American storytelling. “Through the Indian Eyes” explores the storytelling, legends, and myths about Native American culture in the past and present. It informs us of the importance to carry on the spirit of these cultural traditions for generations to come, and the role that Mother Nature plays in keeping this spirit alive. In order to make this film happen, Nikolay visited local Pow Wows in California and spent time with elders in order to learn about different tribes. He presents this film from a different angle than another documentary might. The beautiful opening scene with traditional Navajo dancers sets a positive tone right away. Not only can this film be appreciated by older generations, it could also serve as a useful tool for younger ones because it employs nice animation to tell stories visually so kids can relate to them. Nikolay interviews two Chumash Indians, one Yaqui (who relates to the Sothern Apache Tribe), and one Potawatomi, who each provide their own unique and fascinating perspective. The final perfect artistic touch is the soundtrack, a Native American flute score by Ashtar Ron Allen, which adds a mellow and melodic touch to the film. 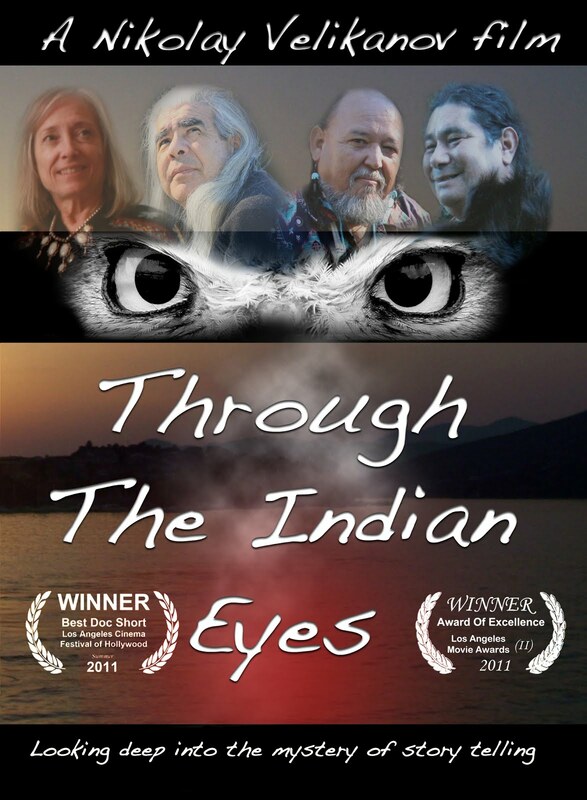 Nikolay filmed the project at the historical Chumash Indian Museum in California and received large amounts of positive feedback from the Native American community in how he brought their stories to the screen. 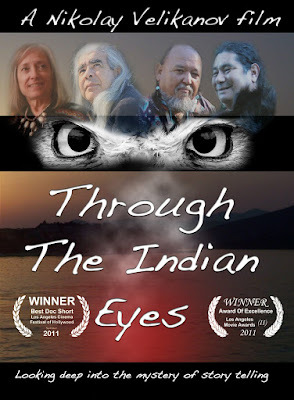 “Through the Indian Eyes” also received recognition from the entertainment industry, winning several awards from multiple film festivals in Los Angeles. As wonderful as this film is, it is only the beginning of what is a fascinating subject. We hope Nikolay will visit it again soon and dazzle us with more stories and insights into this important and magical world.